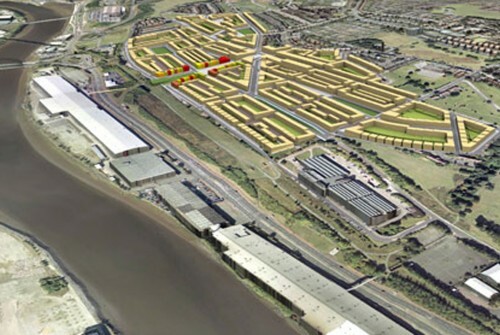 This decade will see big changes in the built landscape of Scotswood. At the beginning of 2010, many of the houses and buildings that had been compulsory purchased during the 90’s were still standing empty, often attracting vandalism and keeping surrounding property prices rock-bottom. However, after 10 years of economic wrangling between private & public investors, an agreement was finally struck between three builders (Barrett Homes, Yuill Homes and Keepmoat Homes) and Newcastle City Council to form the New Tyne West Development Company (NTWDC). Groundworks have started on a 60-hectare site extending along Armstrong Road down to the River Tyne. 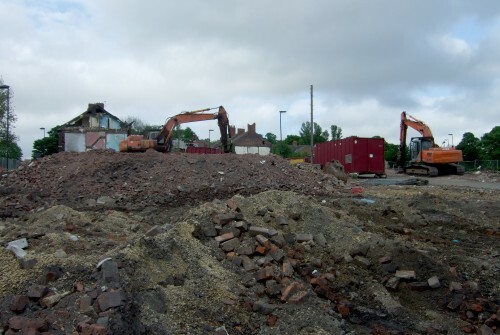 The proposed plans have brought about mixed feelings from local residents, many of whom have remained in Scotswood in defiance of the demolition carried out around them, determined to campaign for and witness the rebuilding of their neighbourhood. Whilst there is a feeling of relief that some redevelopment has finally begun, many people are concerned that the plans will price out the existing populace and be aimed at attracting only a new demographic of residents. Despite reassurances from the NTWDC, after being left for so long in a state of limbo, there is an understandable wariness between residents and developers. 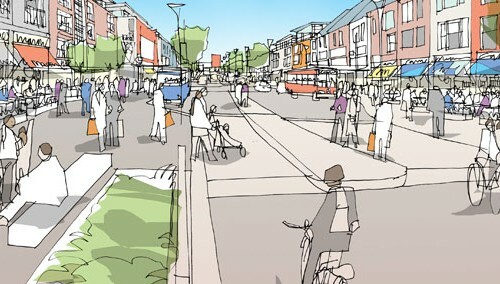 The redevelopment outlines plans for 1,800 mixed tenure homes, improvements to local parks, transport systems and amenities to be realised over the next 15 years. However, further demolition will happen before re-building can begin. Scotswood Support Centre, locally nicknamed ‘The Pink Palace’: Scotswood Area Strategy’s base for over 10 years is due for demolition. The Strategy has refurbished a number of derelict shops across the road from the Pink Palace, adding to the existing Scotswood Diner to create a shop, post office and creche, as well as offices and space for the centre’s existing youth work. Here as well as elsewhere in the west end, the national economic crisis has hit many long-running community organisations hard, forcing people to make difficult decisions about employment and much needed resources such as local activities and services.